Hello there! My name’s Alex and this summer I’m working as an intern for the Maine Arts Commission. So far, I’ve had the opportunity to learn about the inner workings of the state-run cultural agency, what they stand for, the projects they support, and the events that they sponsor. A typical week for me usually involves photographing public art, writing blog posts, compiling monthly arts events, and working on some graphic design. 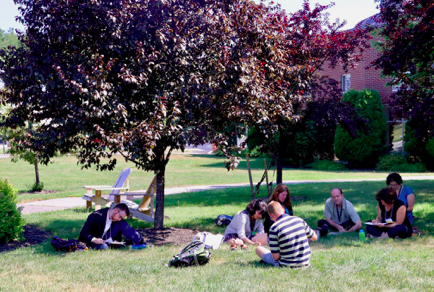 But last week, I took a break from my standard routine and joined nearly 70 arts educators at Thomas College where the Arts Commission hosted the Maine Arts Leadership Initiative (MALI). Being the non-Maine native that I am, at first I had absolutely no idea what the institute was about. All I knew was that Thomas College’s quiet summer campus was all of a sudden bustling with crowds of energetic art teachers. Armed with my camera and my Nalgene water bottle, I set out to figure out what exactly was going on. Luckily, I had the chance to sit down with Catherine Ring, one of the founders of MALI. She explained to me that the institute’s mission is to enrich arts education in Maine by enriching the skills of teachers themselves. 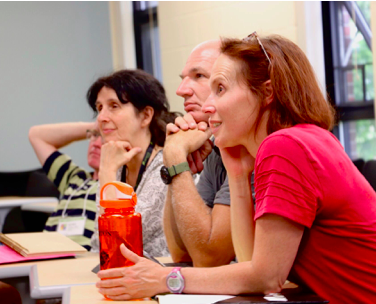 In the 7 years since its creation, MALI’s professional development training has created an army of veteran “Teacher Leaders” who have shared their creative knowledge with over 1500 educators around Maine. 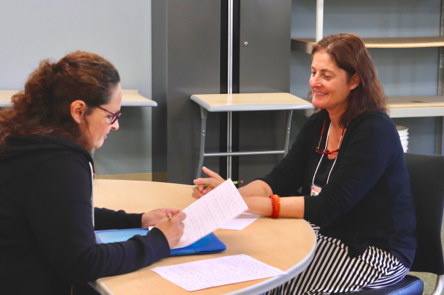 At MALI, Teacher Leaders turn their experiences into lessons, sharing their creative methods with other arts educators through workshops, presentations, and webinars. Catherine also said that a large part of being a Teacher Leader is acting as a liaison with their respective school districts, functioning as a representative voice for art teachers and students in their region. It’s during these three action-packed days that the MALI summer institute aims to enhance arts educators’ skills, which in turn leads to empowered students who enjoy stronger ownership over their creative learning processes. And what’s even more exciting is that by the end of the three days, each teaching artist and teacher leader will create and outline an individual action plan for the upcoming school year. The project could be anything from leading a workshop for an entire school’s faculty, to using grant money to create a new gallery space for a school community. It was inspiring to see the level of care the teachers have for bettering themselves and their lesson plans for their students. There’s so much that goes into prepping for the school year, and these arts teachers are dedicated, passionate, and itching to inspire. During the institute, I crept into classrooms filled with teachers taking part in workshops, attending lectures, and sharing ideas for the sake of creative collaboration. Leaders spoke about assessments of creativity, the importance of problem-solving, and the values of media in the classroom, amongst many other topics. 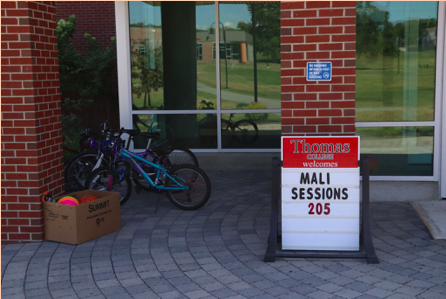 There was laughter, there were snacks, and there was something in the air that made Thomas College’s Admissions building come to life. What I observed over the three days is that MALI works to better student’s education by strengthening the roots of creativity and learning. MALI’s intentions are so admirable that the feeling of personal and community enrichment was palpable. As much as MALI is a teaching space, it also functions as a meaningful point of community for visual and performing arts teachers and teaching artists who may feel isolated in less populated school districts. Just sitting in on the events for a few minutes offered me a glimpse into the importance of arts education on every level, from leader to teacher, teacher to teacher, teacher to student. I have no doubts that MALI has made a significant impact on arts education in Maine, and I’m sure the students feel that as well. 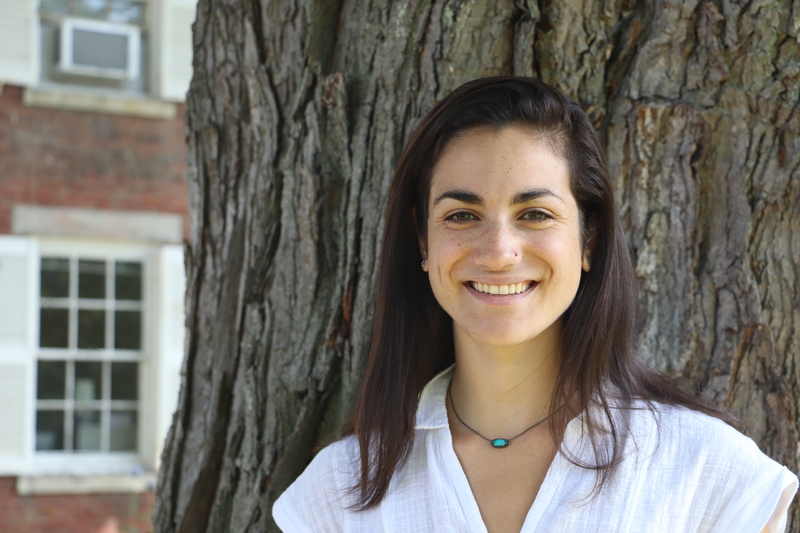 Alexandra Moreno is an intern at the Maine Arts Commission, a rising senior at Bowdoin College, and a happy human. She enjoys writing, collaging, and fun.